Oscar-winner Hilary Swank stars in a fresh and contemporary look at a pivotal event in American history, telling the true story of how Alice Paul and Lucy Burns, a pair of defiant and brilliant young activists, took the women's suffrage movement by storm in the 1910s, putting their lives at risk to help American women win the right to vote. 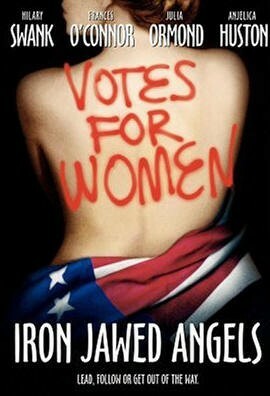 Alice Paul's remarkable story is also told in the excellent One Woman, One Vote documentary which also tells the story of the Suffrage Movement's other key leaders such as Susan B. Anthony and Elizabeth Cady Stanton. For more books for children and teens about the Women's Suffrage Movement, visit A Mighty Girl's Suffrage Movement section. 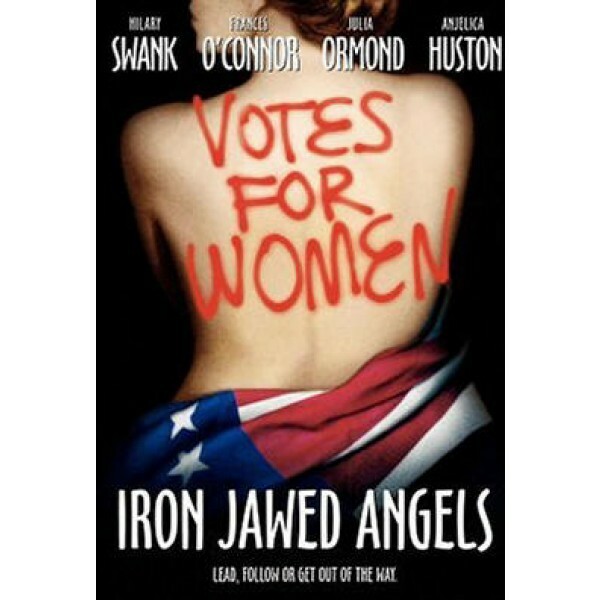 The fight for women's voting rights has rarely been given as dramatic a treatment as in Iron Jawed Angels. Hilary Swank (Boys Don't Cry) and Frances O'Connor (Mansfield Park) star as second-wave suffragettes Alice Paul and Lucy Burns, who led the final fight for the 19th Amendment to the Constitution.